As many of you already know, we are from Nebraska. Over the past week, our state has been devastated by historic floods and blizzards. At least 74 cities, including the one where we live, have issued emergency declarations. The photo below is on a bridge in our town of Crete, with the river running over it. Levees have given way, people and livestock have died and been misplaced, homes have been destroyed, roads have been washed away, and bridges have literally floated down the river. Today, we had the opportunity to visit Gibbon, Nebraska, where 15-20 homes were severely damaged when the Wood River overflowed and flooded the streets in one residential area of town. 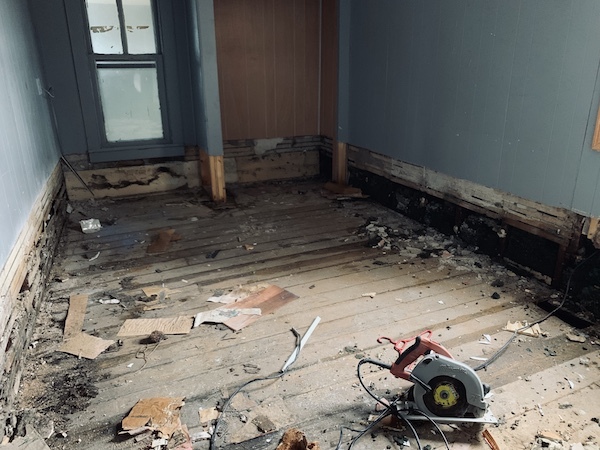 We spoke to several people who were home when the flood happened and they said the water came pouring in so quickly, they barely had time to escape. The man pictured in the middle in the photograph above was watching his son’s dog while he was in Texas last week when the flood happened. He said it happened without warning and so rapidly that he did not have time leave the house. Instead, local firefighters rescued him by boat. Another local man told us he came to check on his elderly mother when he saw water coming down the street. 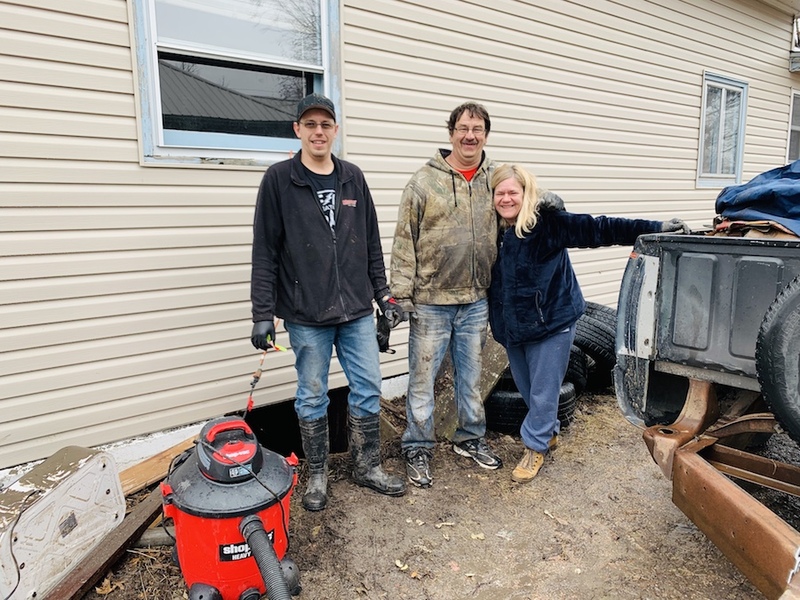 He was able to get his mom into his pickup and by the time he began backing out of the driveway, the water had already started filled the garage area. His mother’s home may well be a total loss. The picture below is of the woman’s bedroom. All of the flooring and contents of the room were destroyed by the flood. While they were able to get the water out of the flooded basement, there are still about two feet of mud there. But these floods brought more than just water. They brought ice, as well. Huge slabs of ice racing along in the flood smashed into houses, buildings and other property bringing a whole new type of damage. It’s unlike anything we’ve ever seen. 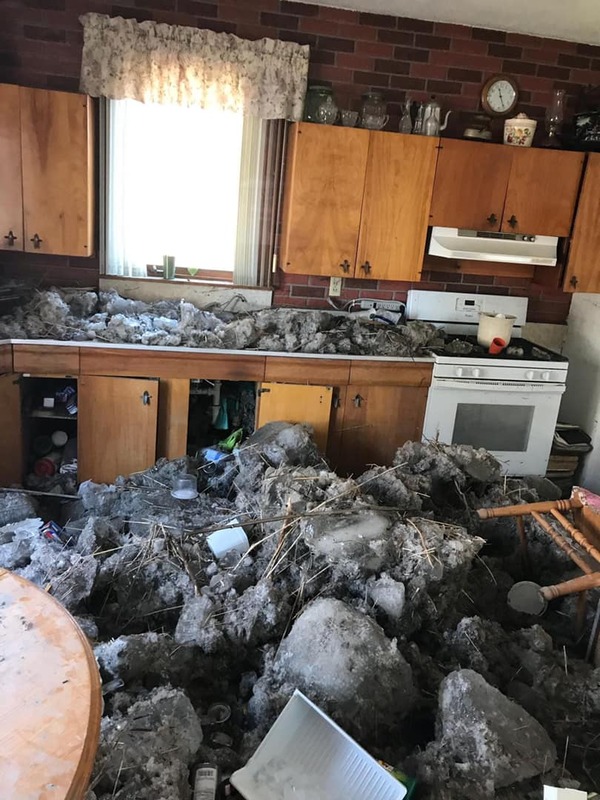 Check out the ice found in a kitchen in the town of Verdigre, Nebraska, below. While our home is fine, others in our area have had major damage from the flooding. As I write this on Tuesday morning, more rain is falling and will only further complicate the situation. Many of you have reached out to make sure we were OK and have asked what you can do to help. We are so grateful to all of you. For those of you who are interested donating money directly to flood relief, here are a few communities and charities to which you can send funds. We have personally talked to people at all of these locations and are confident your money will be used immediately to help flood victims in need. Gibbon Area Relief Fund – You can donate to the Gibbon Area Relief Fund via PayPal HERE. All donations to this fund will be run administratively through Kearney Area Community Foundation, which means they are charitable donations for tax purposes. KACF will provide tax records for all gifts $250 and over. Any donations that are given at this time will be dedicated to flood relief. 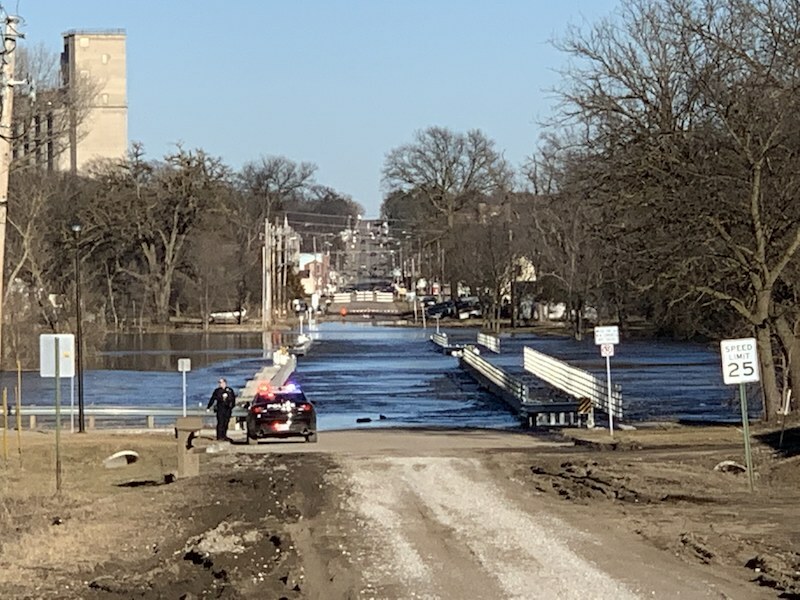 If six months down the road the flood-related needs in the Gibbon area are met, they will distribute remaining funds given now to other regional flood relief efforts. 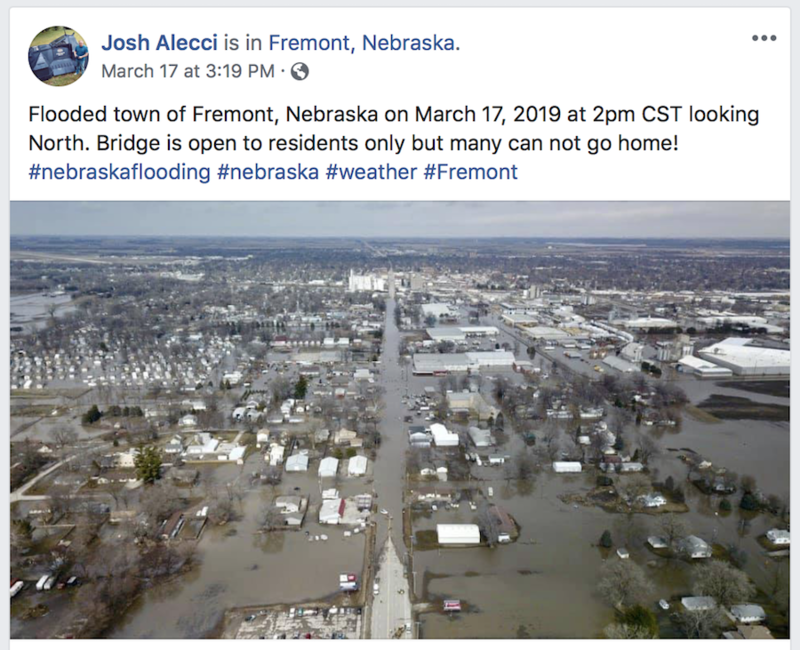 Fremont Area United Way – Give online HERE or mail a check to Fremont United Way, 445 East 1st Street, Flood Victims Fund, Fremont, NE 68025. Norfolk Orphan Grain Train – Donate on line HERE and select “Nebraska Floods” for your donation to go directly to flood victims. Or, mail a check to P.O. Box 1466, Norfolk, NE 68702. They will help with food, clothing and basic needs and hope to help with construction and rebuilding, as well. Butler County/David City Area – Donations can be sent to Bank of the Valley, P.O. Box 71, Flood Victims Fund, David City, NE 68632. Money will be given directly to a local Fire Department to help with supplies and food/drinks for all the flood victims in need. If you’re in the area, you can also stop by any branch location and make a donation there. These are just four communities in need. 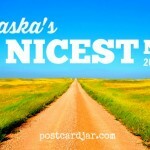 There are so many others, and not just in Nebraska. 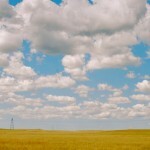 Neighboring states, like Iowa, have seen massive devastation, as well. Families across the region have lost everything and need help right now. We’re proud to be from a state that has come together so quickly to provide assistance to their neighbors and hope this serves as a resource for those who wish to help, as well. If your town has a fund set up for flood relief and you’d like us to list it here, please send us an email at admin@postcardjar.com. Thank you for researching ways to be of help directly. This has been, and is ongoing, a disaster that is not recognized much outside the affected area, so reaching out in this way will likely help to make more people aware of this need–with more than 60,000 people displaced, it really is monumental. Thank you again.